Many people have actually experienced superpowers like abilities when in ketosis. Numerous studies have also proved how a keto diet can improve your health. So it’s not magic, but Science! Weight loss is the most common reason why more and more people are turning towards ketogenic diet. A long term ketogenic diet can help you lose body fat and maintain a healthy weight. A ketogenic diet also helps in restoring normal blood sugar patterns. So much so that many diabetics have even experienced a reversal of their condition. You are likely to notice better concentration, faster thinking and improved problem solving abilities as well as improved memory, when on keto. Studies have shown that on the ketogenic diet patients have lower cholesterol and triglyceride levels, leading to an improved cardiovascular health. A ketogenic way of eating has been shown in studies to increase survival rates and improve health in some cancers. Fat is very important to maintain a good hormonal balance and a well formulated ketogenic diet serves this purpose. Ketones produced from fat oxidation are used as fuel during intense weight training sessions, endurance activities, and are proven to do much better than glucose as a fuel. Just like a coin has two sides, keto diet has its share of side effects as well. Although not very significant, it is always a good idea to keep yourself informed of what you might experience when in ketosis. When in ketosis, you may notice that your breath will have an unpleasant odor due to the increased ketone levels in your body. You may experience a short term fatigue phase (also known as Keto flu) when you start the keto diet. This is because your body takes some time to adapt itself into using fats as a source of energy instead of glucose. During the first few days of starting the diet, you may experience frequent urination. Constipation is one of the most common side effect of ketogenic diet. But it may disappear in a few weeks, once your body gets used to the healthier food you’re eating. 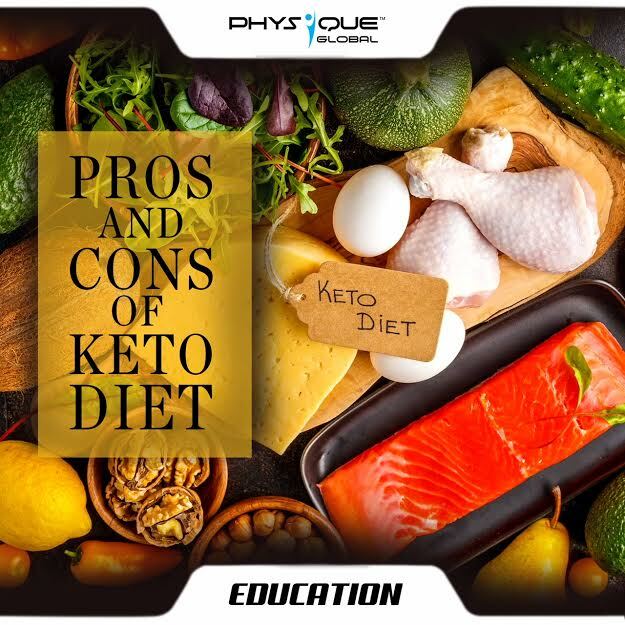 Follow @PhysiqueGlobal and keep an eye out for our next article to find out if you should be doing Keto diet or not.